The Pentagon has received poor marks from external observers for its apparent inability to court and attract the talent it needs to compete in a 21st century world against sophisticated nation-states and militant organizations. In a telling example, Trae Stephens, co-founder and chairman of Anduril Industries and partner at Founders Fund, said during his three-year internship with the intelligence community, he saw employees leave for reasons unrelated to mission enjoyment. “It was because they were stuck in a windowless basement without their cellphone, where they couldn’t communicate with their friends. They were closed off by a bureaucracy that was not merit-driven but tenure-driven. Their managers didn’t know anything about what they were doing, and when they did interfere or insert themselves, it was always negative and nasty,” Stephens said during a roundtable hosted by Defense News in California in November. Stephens recalled that during his time in government, he used noise-canceling headphones. After a few days, Stephens said, his supervisor asked if the IT department provided a waiver for the headphones. Subsequently, Stephen’s waiver was denied and he had to turn to foam earplugs. “It wasn't a fun place to work,” he said. According to Josh Marcuse, executive director of the Pentagon’s Defense Innovation Board, if the department wants to expand its competitive space, it must become technologically competitive. 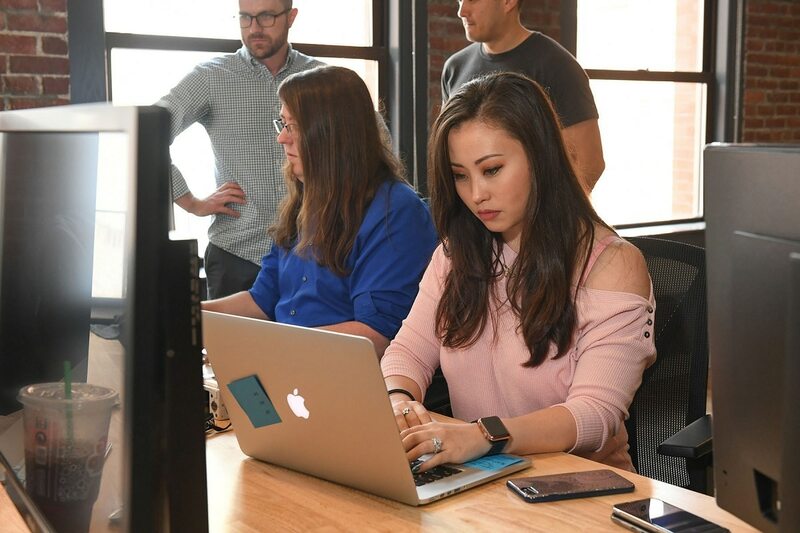 Instilling such a culture is key to recruiting for one forward-looking pilot program within the Air Force, located in a startup-type space in a Boston skyscraper. “You’re not going to convince somebody who can get a job at Google or Wayfair or somewhere to come work for us unless you can offer them a fulfilling job in an environment where they want to be, with an open, collaborative workplace,” Adam Furtado, lab director for the Kessel Run Experimentation Lab, told Defense News in a December visit to the facility. Kessel Run seeks to change how the Air Force — and by extension, the Department of Defense — develops and delivers software based on best practices from industry. But money isn’t always the problem. Marcuse believes many limiting factors in attracting talent for the DoD are out of the department’s control. For example, he said, will a career change be worth it? Are there opportunities to make meaningful change, or is bureaucracy too impervious to progress? If the DoD could address these concerns, he said, people would be lined up around the block.